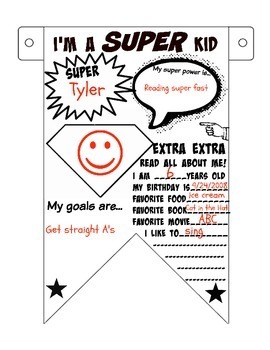 Superhero all about me pennant / banner: get ready for back to school with these superhero about me banners! 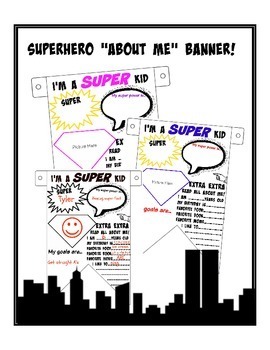 Learn something about your students and let the students learn a little bit more about each other. Have your students cut them out when completed and you can feed string or yarn through them to create a banner to hang up in your classroom. 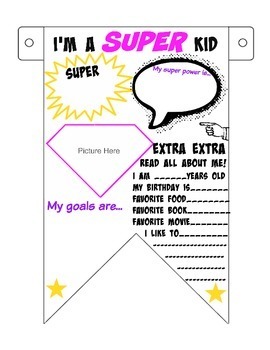 This printable comes with 3 color options and an example sheet.